This poncho comes from TK Maxx - my most favourite shop ever. I love the randomness of what you can find there and the prices are amazing for mostly quite high-end labels. It's not for everyone - you do need to go with an open mind and be prepared to 'hoke' a bit but if you are looking for coats, jeans or knitwear in particular, TK Maxx is a great place to pick these up for a fraction of the RRP. This is the grey version of the navy top I wore on this post. I loved the shape of the navy one so much, I went on a Dorothy Perkins in-store search for a grey one. It's a size 14 but with these oversized tops, you can get away with it being a bit too big. Layered it with a white vest as it's quite sheer. 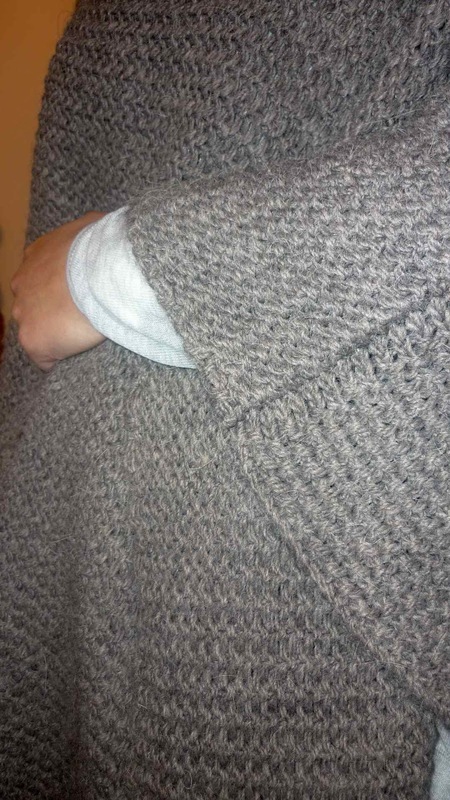 I'm looking forward to wearing this with my array of grey scarves. love both of these sweaters! As it happens, my BFF just texted me about a free poncho from La Redoute. I haven't looked into it, but she is raving about its cosiness. Might be worth looking into. Liking the poncho, unfortunately live miles away from a tk maxx. It is no secret that I LOVE TK Maxx! 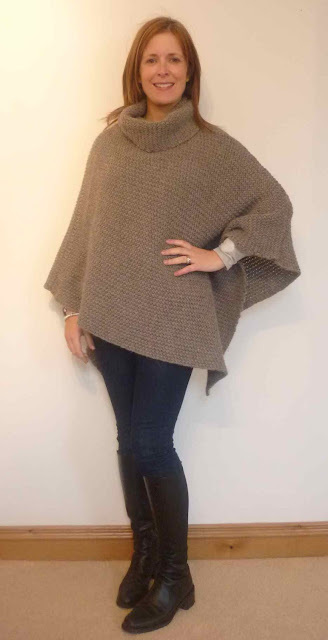 I've never tried a poncho because I assumed it would make me look huge but that looks super cute on you! I do love TK Maxx. I love the randomness and the excuse for a good rummage. This week I got a Merrell Wakefield for £60. Love that poncho, I'm also a fan - mine has a polo neck and pom poms round the edge. I'm not saying I wholeheartedly love them but I have one (well two actually). I've actually just got mine out. Needs an iron and airing as has been folded away for many months. I keep meaning to wear them around the house just as a way to keep warm and to get my wear out of them. I used to like rummaging through TK Maxx but not done it for a while ... too difficult with a small thing in tow. But maybe next year when George is full time, I may get to do a little rummaging again. It feels 'right' for Ponchos this year! I really love the second sweater. That is the perfect grey. I used to own loads of ponchos, I sorely regret getting rid now! Love the grey top Avril. I cannot manage a poncho as with my chest it makes me look 'huge-er' than normal!! I'm a big fan of TKMaxx too (ESP handbag section). Love the poncho and the top looks lovely. 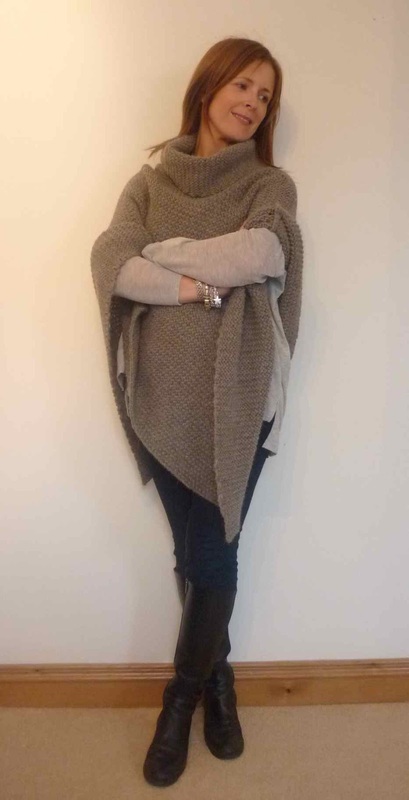 Not a poncho fan (a friend of mine wore one for the entirety of her pregnancy which I think put me off) but I am a fan of TK Maxx and I love your grey top! I am with you on the Poncho front. I love them, very versatile. I have a few, which I brought down last week for Autumn!Including a lovely orange knitted one! This post brought a smile to my face as I sat reading it wearing my beige H&M poncho (it is 8c with rain today). I teamed it with my black jeans and brown boots though;)Also smiled as my other keep warm go to is my grey Fatface down gillet! !Great mind think alike. Love the grey top and white vest look. I will keep an eye out for similar tops now when Im out and about. Usually I like them,but can never figure what to put under or 'visulise' what they would look like. Thanks. Yessss you did the TK blog!!! Hi Avril, I love all the items above. I bought on poncho/wrap which is very handy when travelling. However most of the ponchos I've tried seem to add a lot of bulk - Any recommendations?